Midwest Laboratories, Inc. opened its doors for business on May 15, 1975 in Omaha, Nebraska. It’s original location was 119th and Elm Street, just of east of the current Krispy Kreme location. The company moved to its current location, 13611 B Street in 1981 and continues to expand through the acquisition of buildings and properties surrounding this location. Currently, Midwest Laboratories has operations in a 10-building campus. Midwest Laboratories continues to build upon its rich agriculture history and now serves clients not limited to but including Ag Retailers, Food Processors, Pet Food Processors, Government, Local Municipalities, Engineering and Nurseries. The Management Team at Midwest Laboratories works directly with supervisors and staff to accelerate the purchase of new instrumentation and methods to meet client needs. 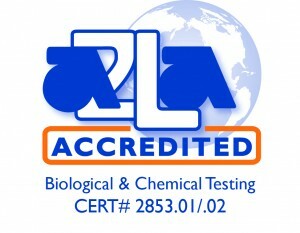 The employees at Midwest Laboratories operate under a management system that is in compliance with the necessary accreditations and certifications to insure the highest quality of analysis possible. Midwest Laboratories currently has 140+ employees and continues to build on its rich 40+ years of service. The goal at Midwest Laboratories is to provide an exceptional experience for our workers and clients in order to meet and exceed the expectations of our clients. The employees at Midwest Laboratories strive each day to remain close to their clients and look for ways to add value to their operations.